its artistic director and conductor was the Honoured Culture Worker of Russia Vera Sladchenko. Nowadays the choir is the laureate of different competitions: “Spring of Nizhny Novgorod”, “Young Voices”, All-Russian competition of academic choirs “Singing Russia”, V. Sokolov International festival. 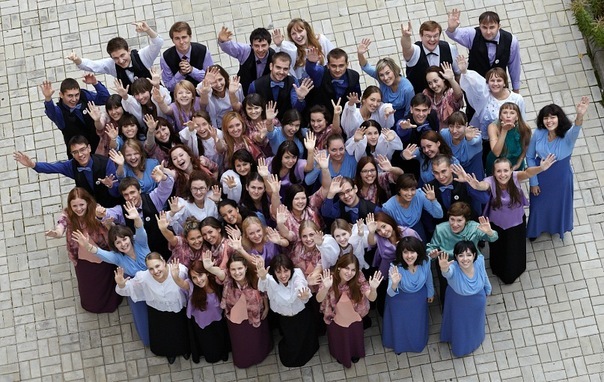 2004 – the choir was a participant of culture program “Russian Fair“ in Germany. 2005 – the collective won International festival and competition “Singers of the Third Millenium” in Rostov-on-Don. 2007 – the choir was awarded by silver diploma at “Young Prague” competition. 2008 – gold diploma at International competition in Italy. 2009 – participated in International festival “Danubian Rainbow”, where the collective performed with great success in Budapest and Bratislava. The choir is the Grand Prix winner at F. Shalyapin International festival (Yalta, 2009), Grand Prix winner of International competition in France, 2011, the receiver of gold diploma of R. Shuman International choral festival (Germany, 2010), the winner of “Gold voices” competition in Spain, 2010, and also a participant of International choral festivals in Czech Republic in 2013 and in Austria in 2014. The laureate of international competitions Alena Bondina is its artistic director and conductor since 2013. Alena Bondina graduated with honors from M. Glinka Nizhny Novgorod State Conservatory in 2012 from class of professor Eduard Fertelmeister. Since 2010 she was working as a choirmaster at Linguistic University choir and became its main conductor in 2013.